27 May 2015 --- The UK’s Real Bread Campaign is celebrating today as a bakery was investigated by the Advertising Standards Authority (ASA) for selling bread marketed as ‘Real Bread’. The ASA found after investigation that while the bakery told customers its bread was hand-kneaded and made without additives, it was actually found to be made in a machine and it did contain the additives E300 and E516. The Real Bread Campaign’s basic definition of Real Bread is simply: made without the use of so-called processing aids or other artificial additives. The advertiser further claimed its loaves were specifically ‘hand-kneaded’, and ‘additive-free’, but then admitted to the ASA that its dough contained additives and is mixed by machines. The ASA investigation team’s draft recommendation was that the ASA should uphold the complaint in full as breaching CAP Code rule 3.1 on misleading advertising and that the ASA council should rule that the claims are not to be repeated. As the advertiser withdrew the advert after receiving the draft recommendation, the ASA dropped the case and the details have not been published publically. According to The Bread and Flour Regulations 1998, full lists of ingredients and any additives used in making unwrapped loaves do not have to be displayed at the point of sale, and if deemed ‘processing aids’ additives do not even appear on the labels of wrapped loaves. 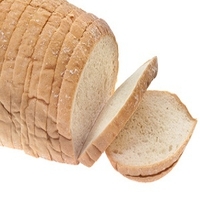 E300, which is the natural product vitamin C, is often used in baking as a bread enhancer. E516, or calcium sulphate, is used as a flour treatment agent. As the leader in Vitamin K2 research & development, NattoPharma has not only created the Vitamin K2 category, but continues to drive it forward. Offering the best and first clinically validated and patented Vitamin K2 as MK-7 on the market, MenaQ7®, NattoPharma has sponsored the groundbreaking research that has confirmed K2’s essential role in bone and cardiovascular health, for old and young alike. NattoPharma’s mission is to advance global health by creating and introducing to the market scientifically validated products and technologies that will deliver measurable health benefits and optimal health outcomes. • Developing and maintaining a deep customer and segment understanding of the benefits we deliver. With 19+ published studies and even more underway, NattoPharma has an unparalleled patent portfolio related to relevant health benefits and market segments, creating extra values for its customers. MenaQ7® meets the growing demand for highly pure, stable K2 for supplemental and food use in any different format. • MenaQ7® Natural MK-7: 96% pure all-trans MK-7 free of soy and other allergens. • MenaQ7® Full Spectrum K2: The first and only K2 to deliver menaquinone isomers MK-6, 7, 8, and 9, free from soy and other allergens. All material is available with CryoCap™ microencapsulation, ensuring stable menaquinone protection in any formulation.